Feeling groggy today, I was looking for a smoothie to boost my immune system and help delay the inevitable flu that comes with this ice cold weather. This gorgeous bottle stood out on the shelf and at £2.99 I thought why not? I was worried that it would taste very chemically and just strange, but most of all I didn't think it would taste of Beetroot. 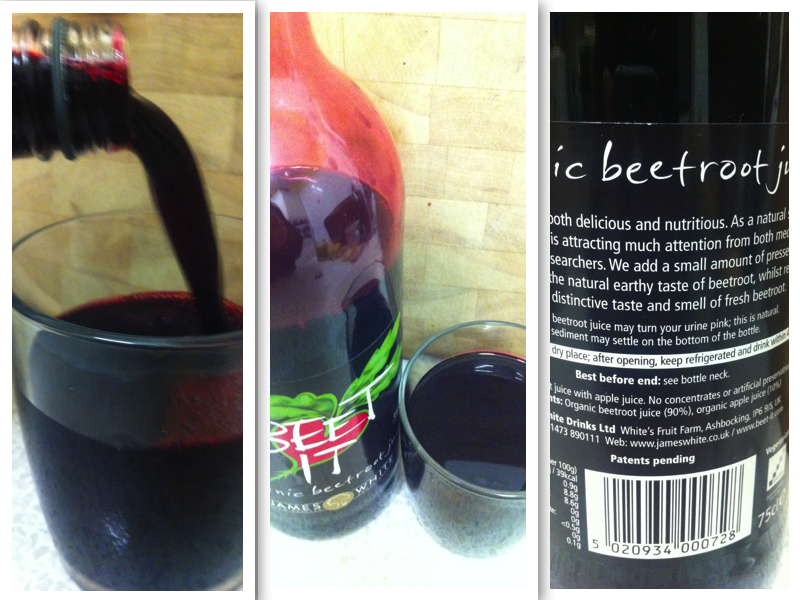 Surprisingly it was the exact taste of a fresh, juicy beetroot. Slightly thick and you could taste the quality and sweetness just as if you were biting into one. Unfortunately for me it was almost too sweet as a drink, but I can see why this new juice is growing rapidly in the health market with lots of press coverage. If you haven't seen this locally you can order direct by clicking here. I would recommend this juice if you like beetroot, organic food and sweet drinks. But for me it was just slightly too sweet. The most exciting part of this drink, bar the health aspects and big push about Nitric Oxide, is the small reminder on the back label, that yes this juice will turn your pee pee pink! 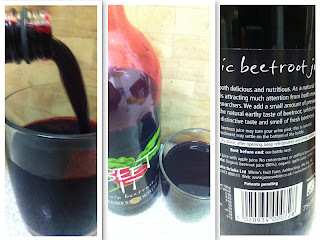 For those who follow a strict gym and exercise routine, beet it also produce a beetroot shot drink to boost stamina! Such a great idea. Just looking at the cardio benefits of this I would probably shot a bottle before the gym. Have you ever tried this? What did you think? THANK YOU SO MUCH FOR THIS REVIEW IT HELPED ME OUT SO MUCH WHEN I WENT TO THE SHOP FEELING GROGGY LOOKING FOR A SMOOTHIE TO BOOST MY IMMUNE SYSTEM.